A conflict of interest (COI) occurs when an individual or organization is involved in multiple interests, one of which could possibly corrupt the motivation for an act in the other. A conflict of interest can only exist if a person or testimony is entrusted with some impartiality; a modicum of trust is necessary to create it. The presence of a conflict of interest is independent from the execution of impropriety. Therefore, a conflict of interest can be discovered and voluntarily defused before any corruption occurs. The occupations where a conflict of interest is most likely to be encountered or discovered include: policeman, lawyer, judge, insurance adjuster, politician, engineer, executive, director of a corporation, medical research scientist, physician, writer, editor, or any entrusted individual or organisation in short. 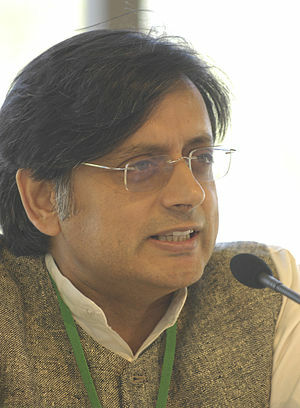 Using the above definition, was Shashi Tharoor’s interest in the Kochi IPL Franchise a conflict of interest? Definitely yes, especially since his links with Ms. Sunanda Pushkar were not made public before he announced his mentorship of the consortium bidding for Kochi. The fact that no cash or pecuniary gains were made does not make it less of a conflict of interest ; it would have been better for all parties concerned if their stakes in the issue at hand were disclosed much earlier before the controversy erupted. And so, the Shashi Tharoor saga ends with his resignation from the UPA cabinet. That begs another question, what about Lalit Modi and the discovery that close members of his family hold key positions in the IPL? Is there a conflict of interest there? Did the public at large know this? I leave these questions for the reader to dwell on. I assume we can all think and are intelligent enough to draw our own conclusions. Don’t we do that anyway? This entry was posted in Management, politics, Thought and tagged conflict of interest, executive director, impartiality, impropriety, insurance adjuster, lawyer lawyer, medical research scientist, modicum, motivation, occupations, policeman, political corruption, politician, Tharoor, Thought. Bookmark the permalink.